If you've just registered with Teamer and can't find your Teampage, please contact your team organiser. Teampages are private and only those who have been invited to the Teampage by the organiser can gain access. Your team organiser may not have added you to the Teampage yet or they could have added you with contact details that do not match the details you used to register. Teamer is an online team management system that uses the power of the web to solve the headaches of organising your team. 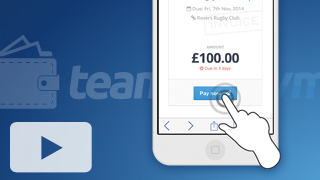 For a team organiser, creating a Teamer account and a Teampage is always free. All email and mobile app notifications are also free to send. In fact, Teamer is going to save you money. How many phone calls are you making each week to organise your team? Each one is costing you money, not to mention valuable time. Teamer's unique event notification technology reduces this task from one that often takes hours, to something that takes a matter of minutes. For players, using the website and email notification system is always free. We use email and push notifications to notify your entire team. Your team members can respond and their response is captured in real time on your private Teampage, so you know exactly how your team is shaping up for the next event. If a player isn't available, you can use our auto-notify feature to automatically call up a replacement from a standby list. The goal is to cut the time and cost involved in organising your team. Yes. To assign a co-organiser, click the edit button next to the relevant team member on the player list. Check the box to give them the same rights as the team creator.